Hermann von Helmholtz was a German scientist, doctor, and philosopher who made advances in many scientific fields, including electrodynamics, optics, and thermodynamics. He invented several devices, such as the ophthalmoscope and the polyphonic siren, and is also known for the Helmholtz coil. By exploring the philosophy of science, Helmholtz made accurate connections about the laws of nature, perception, and empiricism. Hermann von Helmholtz was born on August 31, 1821, in Potsdam, Prussia (now Germany). As a child, his fragile health often forced him to stay home from school and social occasions. However, this gave him ample time to read and study. Helmholtz’s father, a teacher at the Potsdam Gymnasium, taught him the classical languages and introduced him to philosophy. After graduating from the Potsdam school in 1838, Helmholtz enrolled in the Friedrich Wilhelm Medical Institute in Berlin. He received a free education by agreeing to serve as an army doctor for eight years after medical school. After graduating in 1843, Helmholtz was assigned to a regiment at Potsdam…and found there wasn’t much for him to do. He passed the time by assembling a small laboratory in his barracks and conducting scientific experiments. 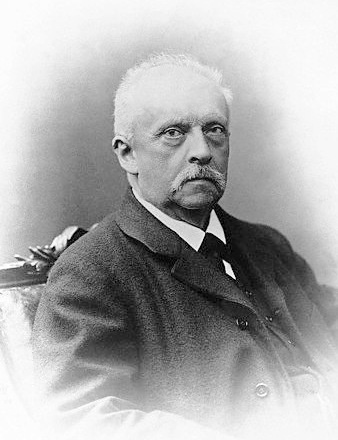 Hermann von Helmholtz. Image in the public domain in the United States, via Wikimedia Commons. It soon became obvious to Helmholtz’s superiors that he had extraordinary talent for the sciences, so he was released early from military service. He joined the Berlin Physical Society in 1845 and worked briefly as a museum assistant and lecturer before eventually settling into a position as an anatomy and physiology professor at the University of Bonn in the 1850s. 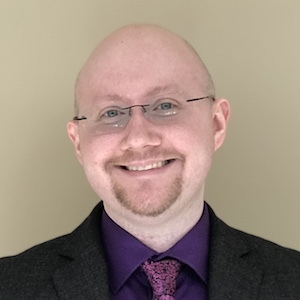 It was during these years that he began to connect his career in medicine and physiology with his interest in physics. Hermann von Helmholtz’s significant contributions to science were made possible because of his philosophical insights. As a child, he was inspired by the philosophy of Immanuel Kant. Later, he studied under famed German physiologist Johannes Müller, who followed Kant’s nature philosophy and Aristotle’s vitalism. Müller argued that a “vital force” (that is impossible to experiment with) runs physiological processes within an organism, and these processes cannot be broken down into simple laws of mechanics and chemistry. Helmholtz disagreed. He postulated that all science can be reduced to classical mechanics. He felt that nature philosophy, though popular at the time, was too speculative and championed a more empirical approach to the sciences. Much of his career was spent investigating the validity of philosophies through empirical data. Playing devil’s advocate to Müller (and Kant), Helmholtz argued that muscle force is purely chemical and physical, not the so-called vital force. His 1842 doctoral thesis focused on the connection between nerve fibers and cells, which led him to find the source of animal heat. By taking a mathematical and physical approach to studying muscle metabolism, he concluded that mechanical forces within an organism produce heat. Instead of a speculative vital force, Helmholtz believed that mechanics, heat, light, electricity, and magnetism all operate as manifestations of a single force. He presented the notion of a “free energy” involving heat and entropy when working with thermodynamics. Stemming from his ideas about energy, Helmholtz researched physiology, optics, and the nature of perception. After countering vitalism, he addressed Müller’s belief that vital force could not be subjected to experimentation, using the example of nerve impulse. Most scientists thought that nerve signals moved too fast to be measured, but Helmholtz was not convinced that this was accurate. He set up an experiment by attaching the sciatic nerve of a frog to a calf muscle and modified a galvanometer as a sensitive timing device (an early example of a myograph design). He found that the nerve impulse was actually very measurable and slower than expected: approximately 27 meters per second. Helmholtz made similar strides in acoustics and optics. He distinguished between the measurement of a physical stimulus (like a sound wave) versus its effect on a person’s perception. He invented the Helmholtz resonator and designed the polyphonic siren to further study the physics of perception. Helmholtz also published a book, On the Sensation of Tone as a Physiological Basis for the Theory of Music, which examines the relationship between what our sensory organs report to us as well as acoustics and optics phenomena. Helmholtz’s polyphonic siren. Image by Stephencdickson — Own work. Licensed under CC BY-SA 4.0, via Wikimedia Commons. Helmholtz invented the ophthalmoscope to examine the inside of an eye. His 1867 book on the subject, Handbook of Physiological Optics, explored philosophical insights backed by physiological experiments and sound mathematics. His discoveries about human vision helped him prove that space is a learned concept based on perception, which led him to evaluate the properties of non-Euclidean geometry. 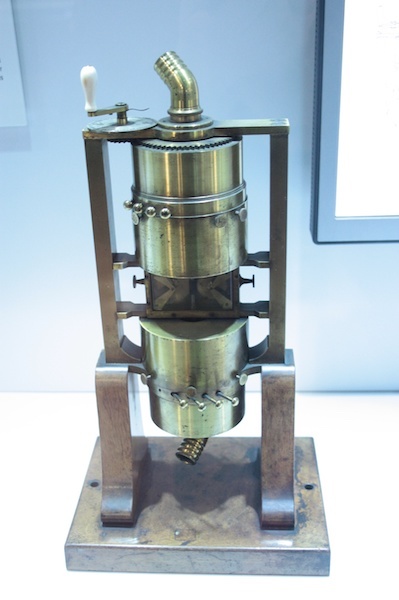 Later in life, Hermann von Helmholtz studied electrical oscillations and demonstrated how we can measure and observe damped electrical oscillations in a coil joined with a Leyden jar. For this reason, the Helmholtz coil is named after him. His further research in electromagnetism advanced the mathematics of electrodynamics by building onto Maxwell’s equations and Faraday’s laws of electrolysis. Because of his mathematical contributions in this field, the Helmholtz equation is named after him as well. A model of a Helmholtz coil with a uniform magnetic field. In 1888, Heinrich Hertz, a student of Helmholtz, confirmed some of Helmholtz’s theories with his discovery of radio waves. 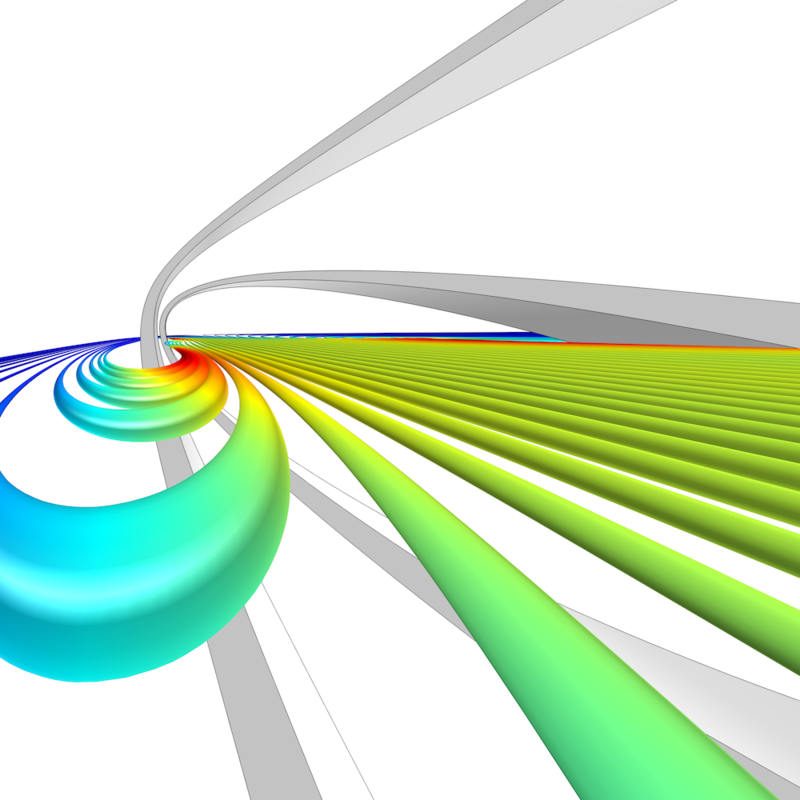 A new type of physics was on the horizon, one that included X-rays and relativity — and Helmholtz’s own pupil, Hertz, would be the first to demonstrate electromagnetic radiation. Hermann von Helmholtz’s impetus to connect philosophical concepts with the natural sciences led him to groundbreaking discoveries. He was the first person to measure wavelengths of ultraviolet light and introduced theories about how the human eye perceives color. This has been useful not only for optometrists but also in the development of color television. 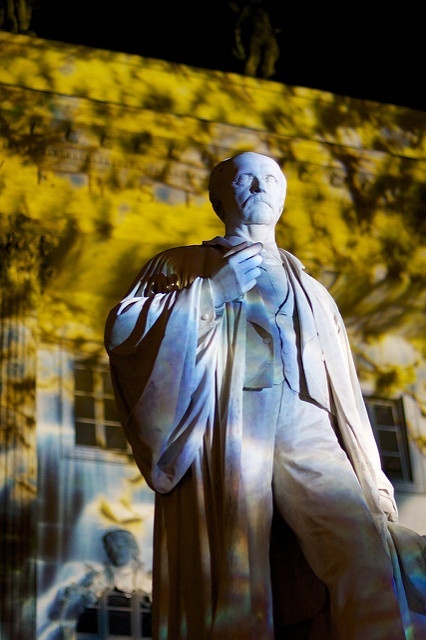 A statue of Helmholtz in Berlin, Germany. Image by Martin aka Maha — Own work. Licensed under CC BY 2.0, via Flickr Creative Commons. Besides the Helmholtz equation and coil, the Helmholtz Association is named after Hermann von Helmholtz, as well as an asteroid and lunar crater! If you’re ever in Berlin, where Helmholtz once taught physics, you can also admire a statue of him. In celebration of his contributions to classical mechanics, optics, and more, let’s wish Hermann von Helmholtz a happy birthday!